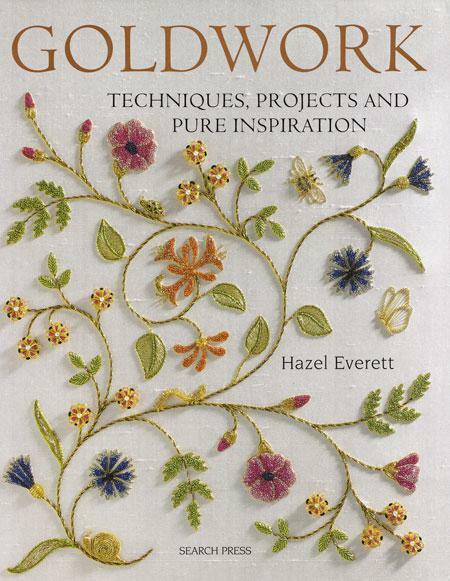 Hazel Everett is an exceptionally skilled goldwork embroiderer, and in this beautiful book she passes on her knowledge and expertise in a way that is both practical and visually stunning. Drawing on traditional methods, she creates works that are brilliantly executed, in a style that is both modern and unique. Here, Hazel provides expert guidance and advice on an extensive range of goldwork embroidery techniques. Her detailed descriptions and step-by-step instructions are accompanied by clear diagrams and embroidered samples, all carefully and exquisitely worked by the author herself. Throughout the book there are numerous examples of the author's own work, providing inspiration for embroiderers who wish to extend their skills in this fascinating area. 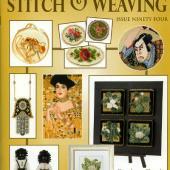 The book ends with ten fabulous projects, including richly worked samplers, Christmas tree decorations and needle books, all using the full range of techniques, threads and other materials that the reader has learnt about in the previous sections of the book. 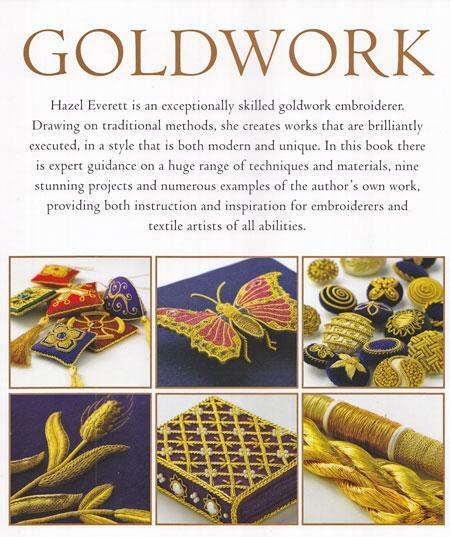 This is an invaluable reference for those already familiar with the art of goldwork embroidery, as well as an excellent starting point for anyone wishing to embark upon it. 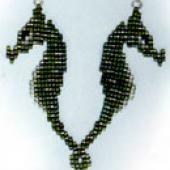 A unique source of information and inspiration for anyone interested in goldwork embroidery. 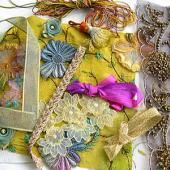 All of the major techniques and materials associated with goldwork embroidery are explained through clear, step-by-step instructions, worked samples and diagrams, and there are ten fabulous projects to put into practice all the reader has learnt, allowing them to produce beautiful embroideries of their own. 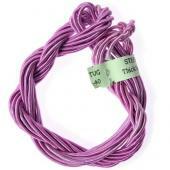 Numerous exquisitely worked pieces provide inspiration and ideas.